 ZUG, GENEVA, March 29, 2019 – WISeKey International Holding Ltd (“WISeKey”) (SIX: WIHN), a leading global cybersecurity, Blockchain and IoT company today announced that it has launched SensorsID, a strong Digital Identity solution designed to protect device identities and their data. Currently, WISeKey has an install base of over 1.2 billion IoT VaultIC chips in virtually all IoT sectors (smartcards, smart cities, drones, anti-counterfeiting, smart lighting, servers, mobile phones, etc.). WISeKey is uniquely positioned to be at the edge of IoT as VaultIC Secure Elements protect a huge amount of Big Data that, when analyzed with Artificial Intelligence (AI), can help industrial applications detect cybersecurity attacks or predict the failure of their equipment before it happens. Gartner estimates that over 20 billion devices will be connected by 2020. All of these devices will need security, and many of them will be sensors using secure IoT chips like VaultIC. As the world becomes more connected, there will be an exponential growth of the number of sensors .. from the environmental sensors in the atmosphere, the traffic on our roads, to the temperature of our homes and the location of our mobile phones. Experts predict that, by 2022, 1 trillion networked sensors will be embedded in the world around us – each one requiring strong digital identity, authentication and data protection. 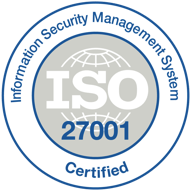 WISeKey is a worldwide leader in Digital Identification, with over 20 years of expertise in PKI, IoT and Identity Management. Its Root of Trust (RoT) is ubiquitous and already embedded in over 4 billion devices. 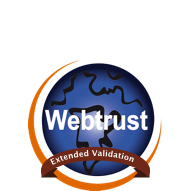 WISeKey already deploys solutions for personal and mobile digital identity, known as CertifyID and WISeID respectively, that enable strong authentication, digital signature and encryption. This ecosystem is now enriched by SensorsID, which provides an advanced solution for device identities. SensorsID acts as a strong Digital Identity solution, issued under the WISeKey RoT, that combines dual-factor authentication capabilities with an innovative BlockChain platform to protect device identities and their data transactions. The SensorsID BlockChain is constantly growing as new identity blocks and data transactions are added to it to ensure authenticity and traceability. The system is totally decentralized and can be operated at national or local levels using a distributed identity ledger run by trusted parties spread across the BlockChain ecosystem. Imagine an intelligent car with a system processing authenticated data for each of the vehicle components, being able to detect if/when different parts will require service and to digitally sign all the logs required to prove that service was provided. This platform can be used in multiple industrial applications, allowing for optimized productivity across industries through predictive maintenance on equipment and machinery, creating truly smart homes with connected appliances, and providing critical communication between devices including self-driving cars and smart homes. The possibilities that IoT brings to the table are endless. WISeKey’s technology creates a platform that helps connected devices to become intelligent devices that can learn from attacks, defend themselves, and transfer this intelligence to other devices in the network. Combined with the Application Microcontroller in the IoT Edge Device, the VaultIC Secure Element brings premium security level. WISeKey Secure Elements are dedicated to providing secure storage and usage of sensitive assets. WISeKey chips are built with unique features able to secure storage, cryptographic calculations and digital signatures, and are specifically designed to execute sensitive calculations, without leaking information such as power consumption patterns or electromagnetic emissions to the outside world. The data is stored deep down within the protected memory of the chips, which are designed with unique capabilities not to allow other software to run on them and are equipped with various hardware sensors and protection mechanisms making them resistant to hardware attacks. If the WISeKey Secure Elements had been used for sensitive data storage for the Application Microcontrollers affected by the recent ‘Meltdown’ and ‘Spectre’ attacks, the attack would not have been successful. For more than twenty years, WISeKey has been providing a range of Common Criteria certified tamper resistant microprocessors that can be implemented on IoT devices to provide secure storage and usage of sensitive assets, and to uniquely identify, authenticate and protect devices in the field. 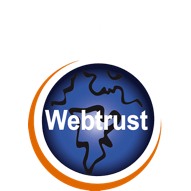 The digital identities of these assets can be efficiently managed through a Webtrust certified Public Key Infrastructure on premises or as a cloud service. WISeKey (SIX Swiss Exchange: WIHN) is a leading global cybersecurity company currently deploying large scale digital identity ecosystems for people and objects using Blockchain, AI and IoT respecting the Human as the Fulcrum of the Internet. WISeKey Microprocessors Secures the pervasive computing shaping today’s Internet of Everything. WISeKey IoT has an install base of over 1.5 billion microchips in virtually all IoT sectors (connected cars, smart cities, drones, agricultural sensors, anti-counterfeiting, smart lighting, servers, computers, mobile phones, crypto tokens etc.). WISeKey is uniquely positioned to be at the edge of IoT as our semiconductors produce a huge amount of Big Data that, when analyzed with Artificial Intelligence (AI), can help industrial applications to predict the failure of their equipment before it happens. 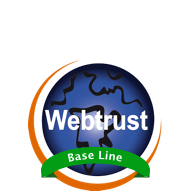 Our technology is Trusted by the OISTE/WISeKey’s Swiss based cryptographic Root of Trust (“RoT”) provides secure authentication and identification, in both physical and virtual environments, for the Internet of Things, Blockchain and Artificial Intelligence. The WISeKey RoT serves as a common trust anchor to ensure the integrity of online transactions among objects and between objects and people. For more information, visit www.wisekey.com.